Jimmy and Guillermo Play Pinatas and Tequila in Austin | Jimmy Kimmel Live! There are so many great things to do Austin, Texas – so many activities and things to see – but sometimes it’s also fun to just hang out and see where the day takes you. 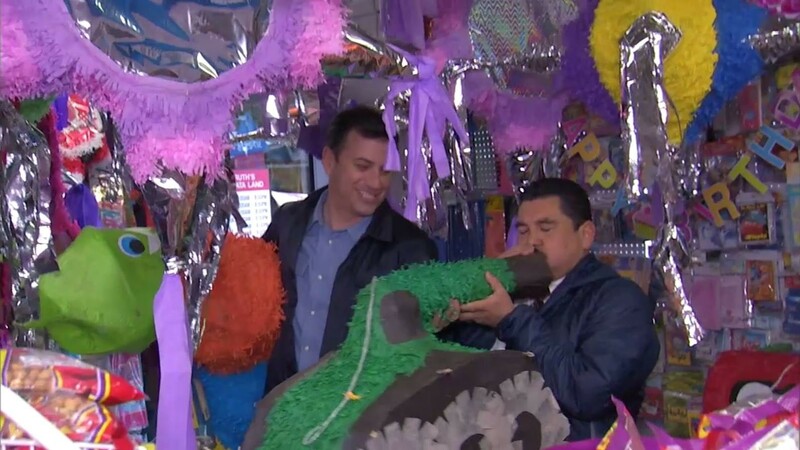 So Jimmy Kimmel and his security guard Guillermowere walking around town during SXSW 2015 and happened into a very special part of town best suited to play a new game they made up, called “Piñatas and Tequila.” Please note, no piñatas were harmed in the making of this video. From the Thursday, March 19, 2015 episode of Jimmy Kimmel Live.